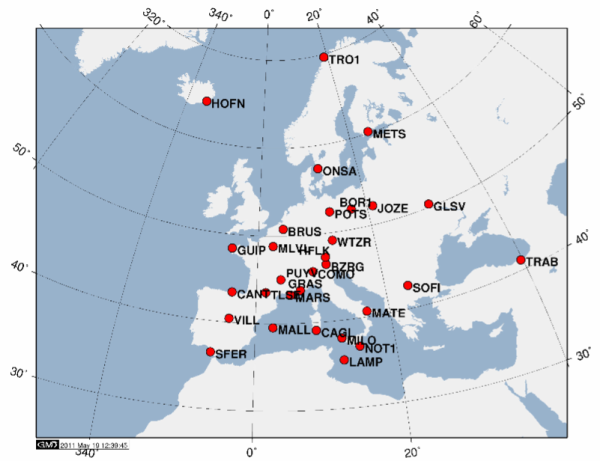 EPN positions and zenith tropospheric delays resulting from the routine data analysis are affected by reference frame changes and upgrades of modelling and software packages. Consequently, consistent results over time can only be generated by a reprocessing of the EPN using one unique data analysis strategy. This reprocessing is coordinated by the Chair of the EPN Reprocessing Working Group and is repeated at regular intervals. Consistent with the routine EPN analysis procedure between GPS week 1409 and 1630, see "Guidelines for EPN Analysis Centres" (epn_05.atx antenna calibration, IGS05 reference frame).